We just recently celebrated our one year wedding anniversary! Like many couples do, we saved the top layer of our cake and froze it. To be honest, I was not sure how our cake would taste after being frozen for a year. I was worried about freezer burn on the cake, so I was sure to wrap the cake very carefully before freezing it. Actually, it was quadruple wrapped in plastic wrap and then covered with foil for good measure! The final result was a delicious and moist cake...one year later! Here are my tips for defrosting, eating, and enjoying your wedding cake for your 1 year anniversary. 1. Wrap the cake well before freezing. (See above about avoiding freezer burn!) I probably should have put the cake in a box of some kind before freezing it because the cake did shift a little bit and was frozen into a lopsided shape! Learn from my mistakes and put the cake in a box. 2. Unwrap the cake. Then re-cover it with plastic wrap and put it in the refrigerator to thaw. I left our cake in the fridge for about 8 hours and it was easy to cut. The almond cake and raspberry filling was so delicious! Sweet memories. Did you or do you plan to save your wedding cake to enjoy on your 1 year anniversary? P.S. Watch for a fantastic giveaway on Friday! We saved ours and did not do a great job with it! I hope to never have to do that again (I sort of like my husband and hope he's around for a while). But it was about two bites before we threw the whole thing out. This year will be our five-year anniversary and I am thinking of ordering a cake from the bakery that made it. It was so delicious the day of...Marble cake with cannoli filling. I just want to think of something good to write on it! We did! I had wrapped it really well and it was just as good as it was a year earlier! It was a carrot cake with cream cheese filling. @Coach KC I LOVE the idea of getting a cake for your 5 year anniversary. That would be a wonderful way to celebrate. BTW, your cake sounds delicious. 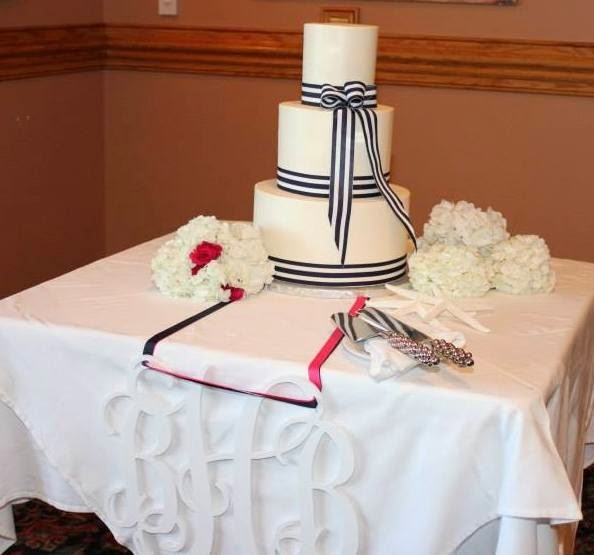 @Living Life in the Lowcountry I'm glad that you were able to enjoy your cake, too! So much fun.